Police have arrested several demonstrators who stubbornly remained outside the Dane County Courthouse, following a day of protests over the District Attorney’s decision not to indict the officer who fatally shot Tony Robinson, 19, in March. Reporters on the scene estimate that anywhere from 15 to 25 arrests were made, as a group of protesters refused to leave the street outside the courthouse, several blocks away from the Wisconsin state capitol. Protesters linked their arms as they were being arrested, and some of them cried, reported AP. The protesters were a holdover from the peaceful demonstration that began Wednesday morning in front of the house where Robinson was shot, on Williamson Street. From there, the group estimated at 200 people marched to the courthouse. Organized by the Young, Gifted and Black Coalition (YGB), the marchers convened a “people’s court,” charging the Madison police with racism and police brutality and demanding Officer Matt Kenny be punished for the shooting of Robinson. Another group chained themselves together outside the Dane County Jail entrance, demanding the release of inmates inside. In addition, the YGB coalition and Freedom, Inc. started a petition calling for an independent investigation into Robinson’s death. “We are calling on the United Nations and the Organization of American States (OAS) to launch an independent investigation into the murder of Tony Robinson and racial disparities in Madison, WI, particularly the way police are used as an occupying force in Black communities,” the petition says. After Dane County District Attorney Ismael Ozanne announced on Tuesday that Officer Kenny would not be charged, Madison Police Chief Michael Koval called for peace while promising reforms. He also posted a list of behaviors that would be grounds for arrest by the police. “Unrest like we have witnessed elsewhere in our country cannot possibly aid in constructive engagement and only holds us back,“ Koval wrote, alluding to protests in Ferguson, Missouri and Baltimore, Maryland that had at times turned violent. 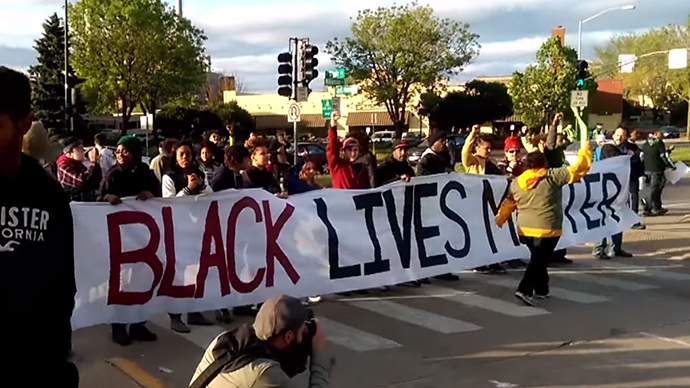 Previous protests in Madison, immediately following Robinson’s death, were peaceful. After reviewing all the evidence related to the incident, including 814 pages of reports and documentation provided by the Madison police, DA Ozanne concluded that Robinson’s shooting by Officer Kenny was “lawful use of deadly police force.” He also cited multiple 911 calls indicating that Robinson had been “tweaking” and “on drugs.” Toxicology reports showed the presence of Xanax, marijuana and psilocybin (mushrooms) in his blood. Ozanne was visibly nervous as he made the announcement, and prefaced it by saying he was the first person of color to become a DA in Wisconsin, and that his family had a history of civil rights activism. Robinson family attorney Jon Loevy countered that “many unanswered questions” remained about the case, and accused the officer of creating "a confrontation that led to an unnecessary death." Robinson’s mother told CNN on Tuesday that the family was planning to pursue a civil lawsuit against the Madison police.